You know what I really like about this new web 2.0, cloud, distributed era we’re living in? As a web developer, it means there are some times that I can stop writing custom apps that I have to support for years after their initial launch and hand off the duties to someone that can do it better than I can. In this case, Google. In addition to my regular job, other job, side work, speaking, parenting and more, I’m one of the faculty advisers at our campus radio station, WARC 90.3 FM. It’s fun – I get to hang out with students and listen to tons of great music. For as long as I’ve been here, student DJs would record every song they played on a sheet of paper and leave it in a box at the end of their show. As a station, we report what’s being played to places like CMJ – it helps them track what’s popular and what’s being played at colleges around the county. 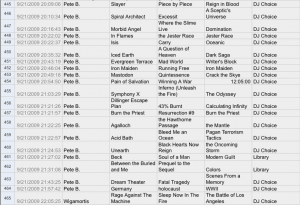 Labels also like to know what types of music we’re playing so they can send us new stuff to check out. Collating all that paper and trying to figure out what was being played was a giant pain. It took quite a bit of time and effort, and we realized there had to be a better way. 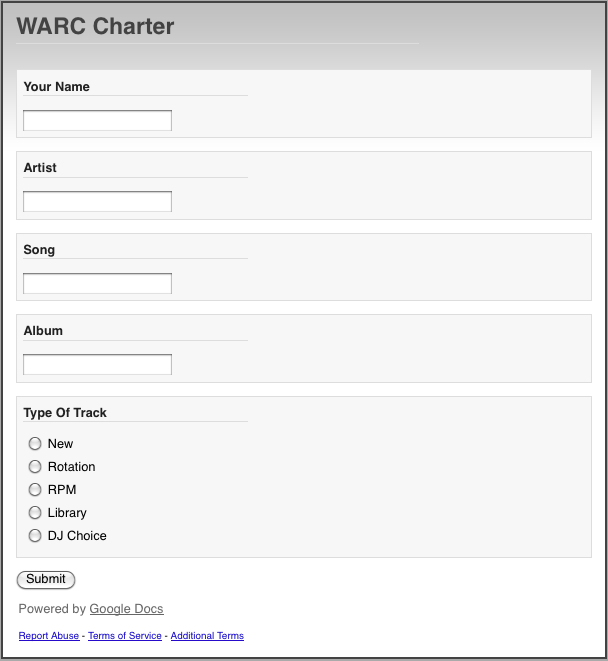 So, a few years ago, I cobbled together a quick web app that allowed DJs to record their show’s playlists on a computer that lived in the studio. 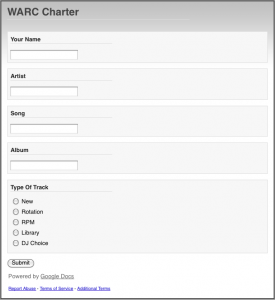 It worked pretty well for DJs, but it was still a bit of a pain for the people charting. There was no easy way to enter in that week’s new releases. 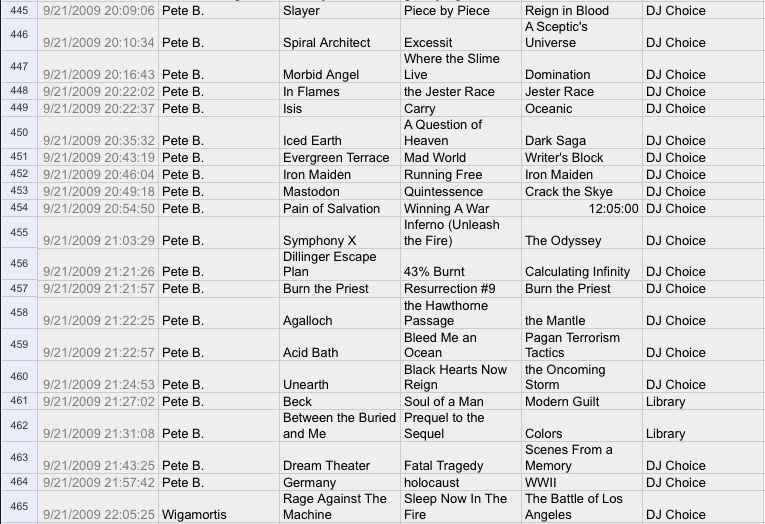 There wasn’t easy ways to count or organize playlists and tracks. Most of that is my fault – I didn’t have the time to really create a great app. So far so good. I’m happy with it, our DJ’s are happy and our general manager and music director are happy. Wins all around. Next Next post: What are the legal issues related to lipdub videos?